These came with my brand new Audi A4, so conditions for the tyres couldn't be much better. 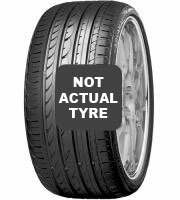 They're a good tyre, it just feels like they wear down too quick. The grip has been great although as you'd expect the car has slid about a bit more recently as the tyres have worn down. If they lasted longer I would probably buy again. I'm not a gentle driver, but I have driven this car like my previous two and the tyres (different makes) didn't wear down this quick. In the ten months I've been using these tyres they've been great, handling corners better than other tyres I've previously used. They're good in the wet. The tyres have looked after me in their short life.